Being an avid Morrisons supermarket shopper. I am always looking out for a bargain in their fresh fruit and vegetable section. There selection of fresh produce and their prices make it possible for anyone to buy fresh fruit and veg, whatever their budget. There is no excuse, when Morrisons has such reasonable pricing. It's all about having the inclination to cook the fresh produce, rather than simply throwing a more expensive processed pack into a microwave. 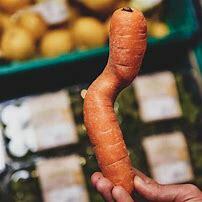 Take their 'wonky veg' for example, the supermarket chain has been praised for trying to cut the amount of food waste by selling out-of-shape fruit and vegetables, that would usually be binned. They are much cheaper than their standard range and once cut up and prepared, they look and taste like any other vegetable. However, Morrisons have recently been accused of defeating the object of its 'wonky' range by wrapping them in plastic packaging. Customers have criticised the plastic bagging, saying the extra packaging is unnecessary. 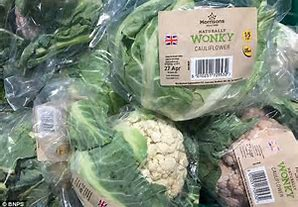 A Morrisons spokesperson is reported as responding with a claim that the 'wonky' range needs to be bagged and sold separately so customers aren't overcharged. A lame excuse, I say. Just provide some recyclable brown paper bags stamped 'Wonky' and shoppers can bag their own!